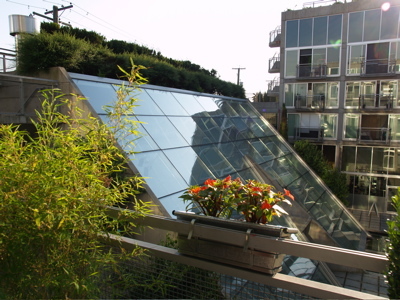 The Waterfall Loft is an exclusive, design-conscious modern condominium residence by legendary architect Arthur Erickson within steps of False Creek in beautiful central Vancouver. 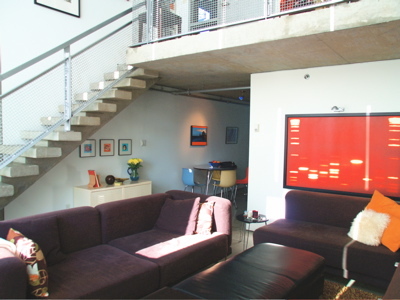 This one-bedroom 800-square-foot, two-storey concrete and glass loft is a perfect pied-a-terre for one or two people that provides the ideal, central access to the best of downtown Vancouver, Yaletown and Canada Hockey Place during the 2010 Olympic Winter Games. 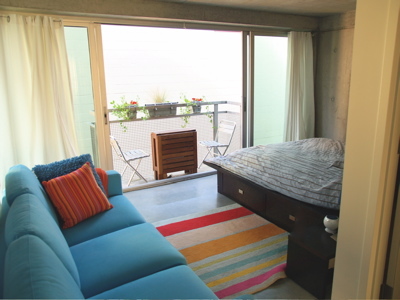 From the rooftop you have glorious views of downtown, the ocean and mountains. 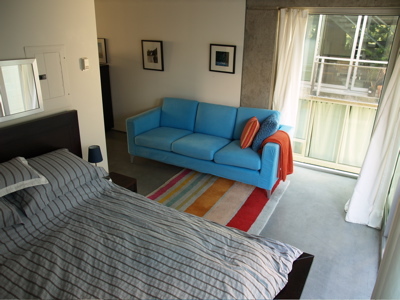 The spacious condominium comes complete with home office, laundry, wireless Internet, secure underground parking stall and fully equipped kitchen and bath. 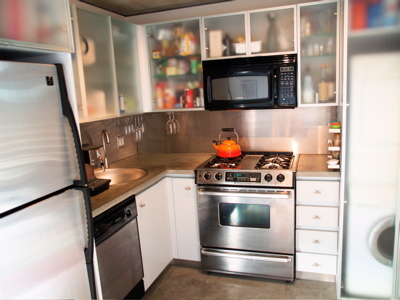 The kitchen has concrete countertops and stainless steel appliances, including a gas-stove, refrigerator-freezer, dishwasher, washer-dryer, and Krups espresso machine and blender. 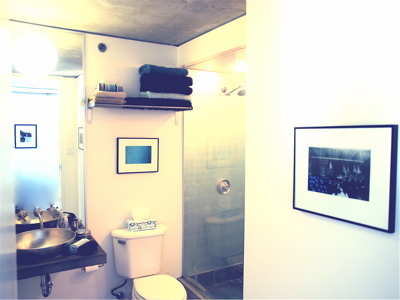 The bathroom has a stunning glass shower with rainshower head, stylish stainless steel sink and concrete vanity. 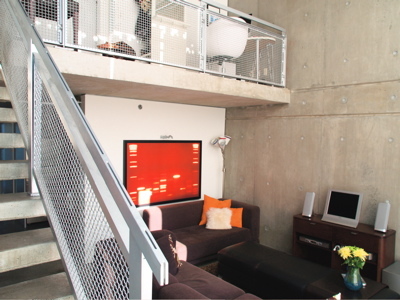 The living room has a 20-inch flat-screen LCD TV with digital television access to more than 200 channels and is equipped with a high-end Bose home theatre system for CDs, DVDs and dozens of channels of digital music. 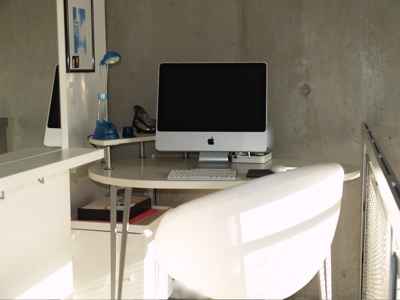 The loft office has a brand new Apple iMac computer with high-speed Internet access, which works wirelessly throughout the condominium. 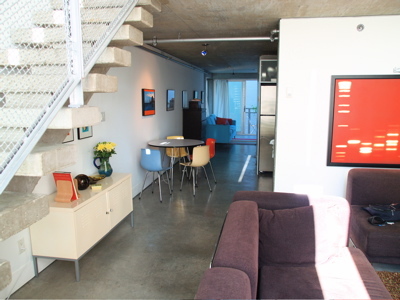 The Waterfall Loft is located on the south edge of False Creek in central Vancouver, just half a block from the city's top food market, Granville Island Public Market. 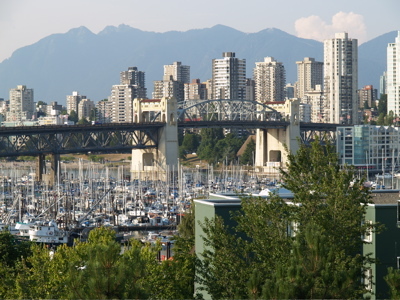 Granville Island also has convenient banking, postal and fitness facilities, a brewery and wine shop, along with numerous boutiques, artisan studios, cafes and restaurants. 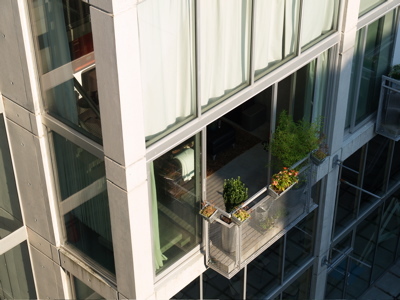 From here, you can catch a water taxi to the downtown peninsula, Yaletown or to the Canada Hockey Place Olympic venue. 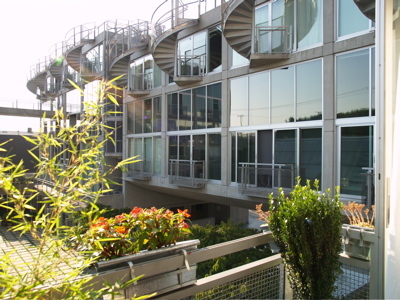 The Athletes Village SkyTrain stop is a short 15-minute walk away the Vancouver International Airport is a 15-minute SkyTrain ride from there. 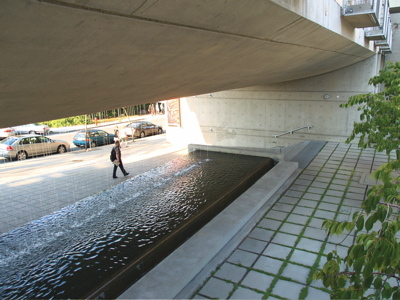 A public bus stop just steps from the building provides access to downtown in less than 10 minutes. 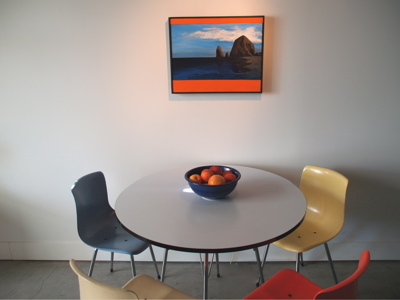 Exclusive design and decor shops and art galleries cluster on the South Granville rise, just a 10 minute walk away. 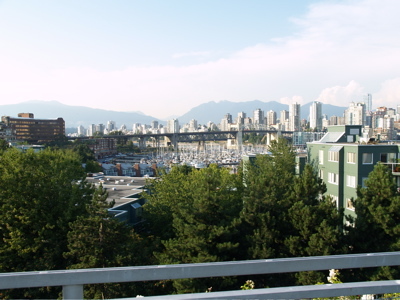 Both Burrard and Granville bridges are within easy walking distance. 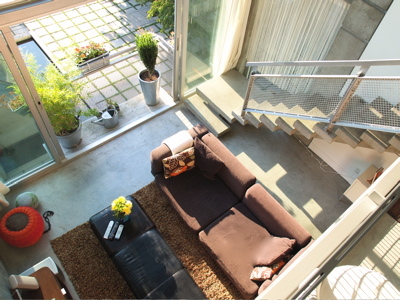 If you are seeking a secure, quiet and design-savvy retreat right in the centre of the city, while having access to the best of everything that Vancouver and the Olympics has to offer, this is the property for you.